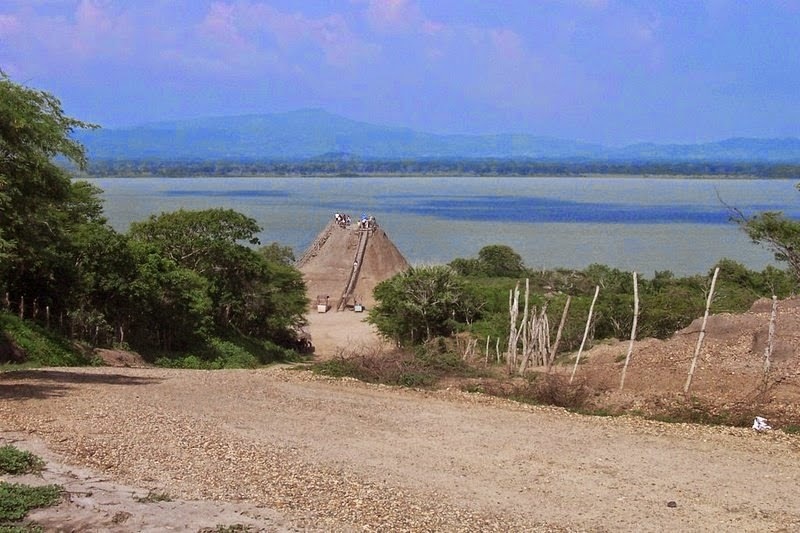 El Totumo Mud Volcano is located in northern Colombia in the municipality of Santa Catalina, about 50 km northeast of Cartagena. 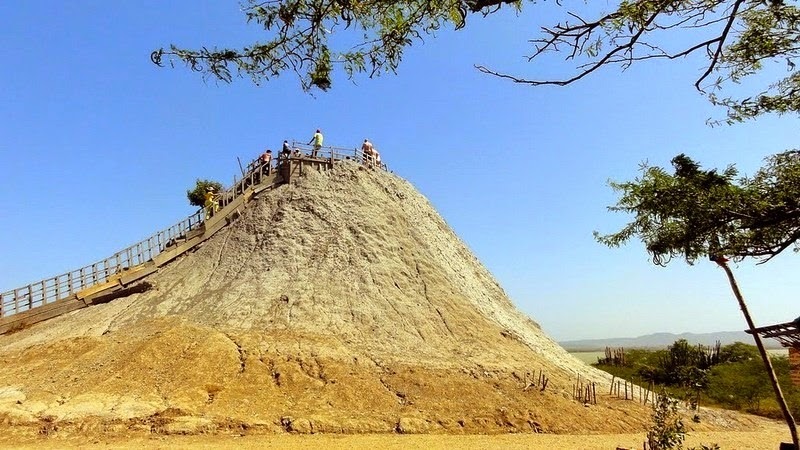 The volcanic cone stands like a dirt hill about 15 meters tall. 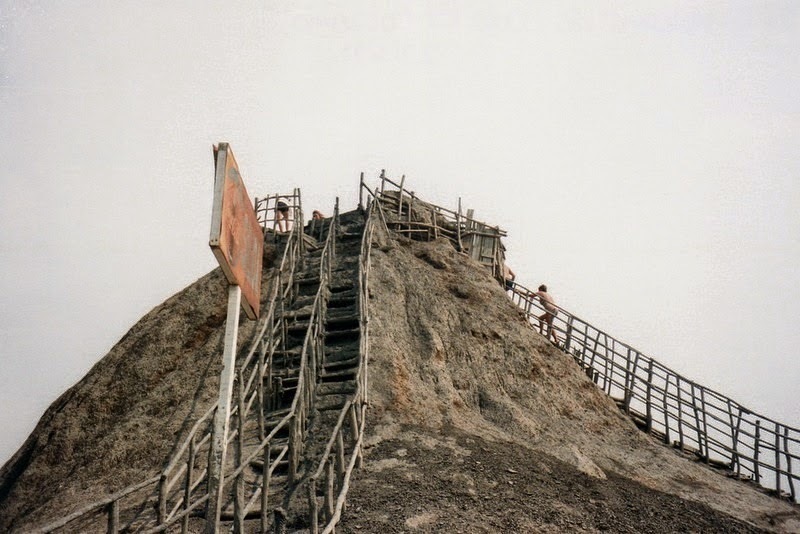 A wooden staircase leads to the crater, which is filled with thick, lukewarm mud having the consistency of cream. 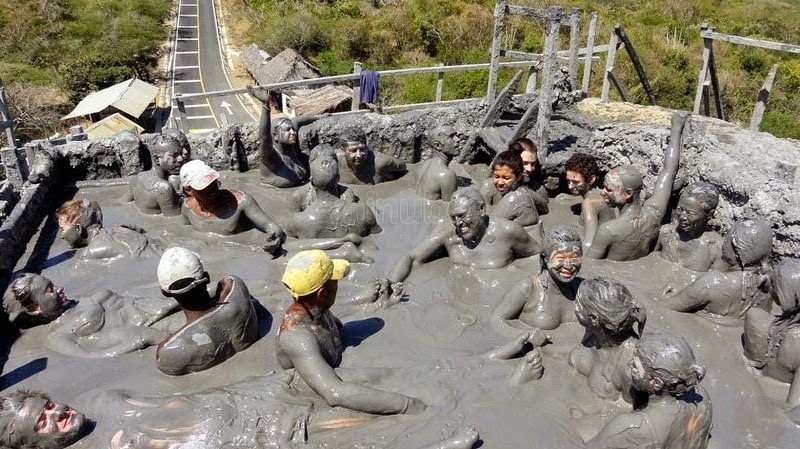 It’s a popular activity for tourists to dip and frolic in the mud, for its alleged healing properties. 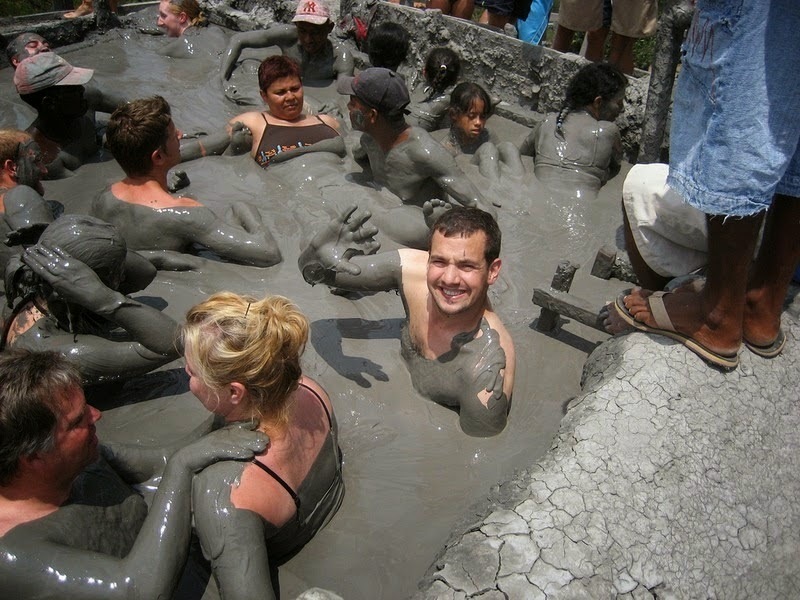 The crater has no perceivable bottom and it’s the density of the mud that keeps you afloat. 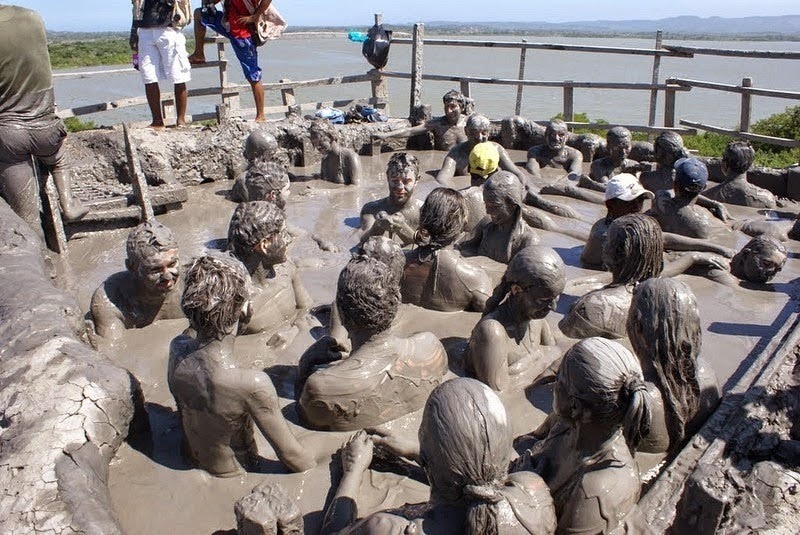 Various locals will pamper you during your time here, holding your belongings, taking photos, offering you massages and even washing you and your clothes off the mud. 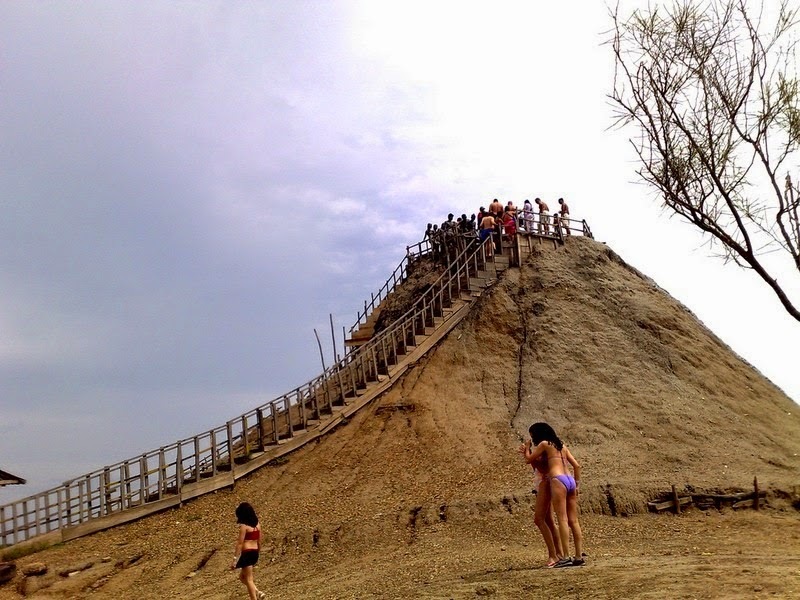 The locals swear that long ago El Totumo spewed real fire and lava and ash, but this was considered to be the work of the Devil. So the local priest sprinkled it with holy water, extinguishing the volcano and drowning the Devil in mud. 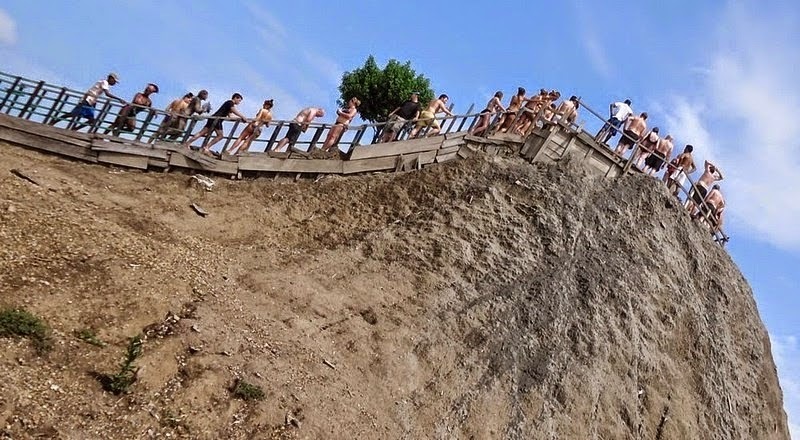 Of course, this is folklore possibly cooked up by the locals and is all part of an elaborate plan to lure people into visiting the inescapable tourist trap.